Jason here! Hope everyone had a great 4th of July! Sorry for the last of did you know yesterday, but I am back and ready to fill your heads with info today! 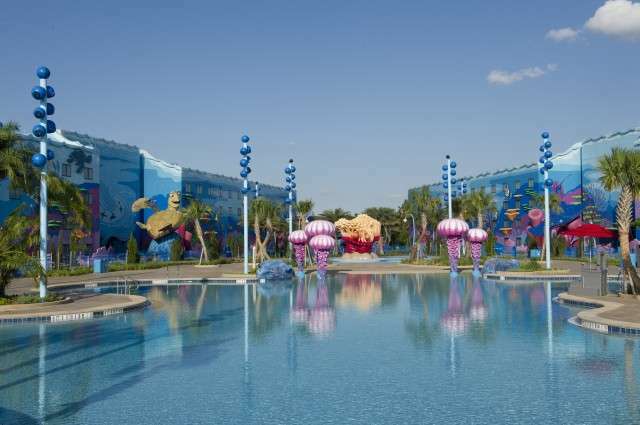 Did you know that the Big Blue Pool at Walt Disney’s Art Of Animation Resort is the largest pool at the Disney Resort? This pool holds 308,527 gallons of water and has underwater speakers that allow guests to hear Nemo and his friends talk! Now that is totally sweet dude!